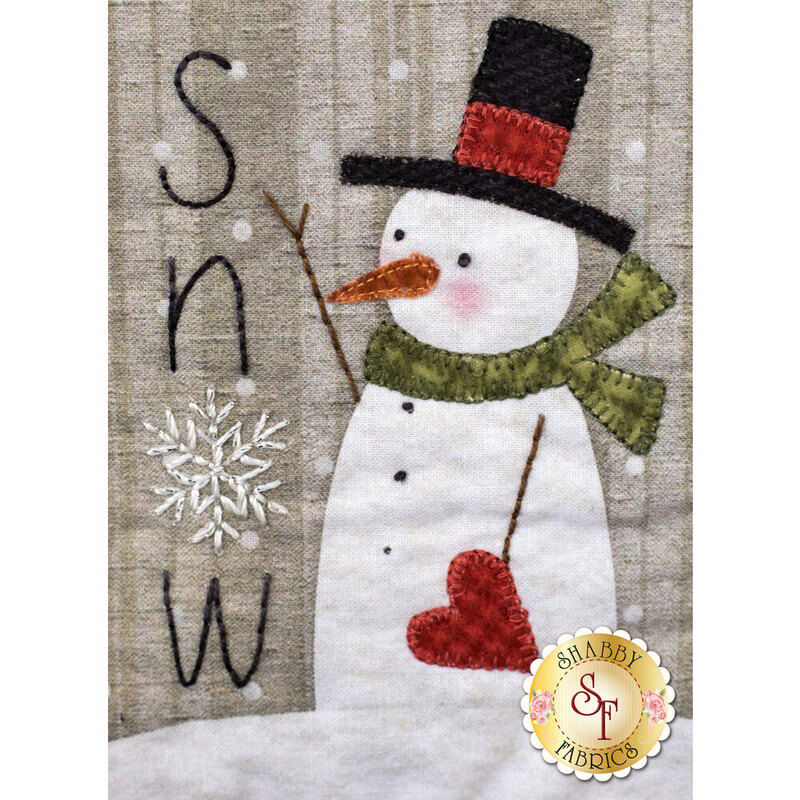 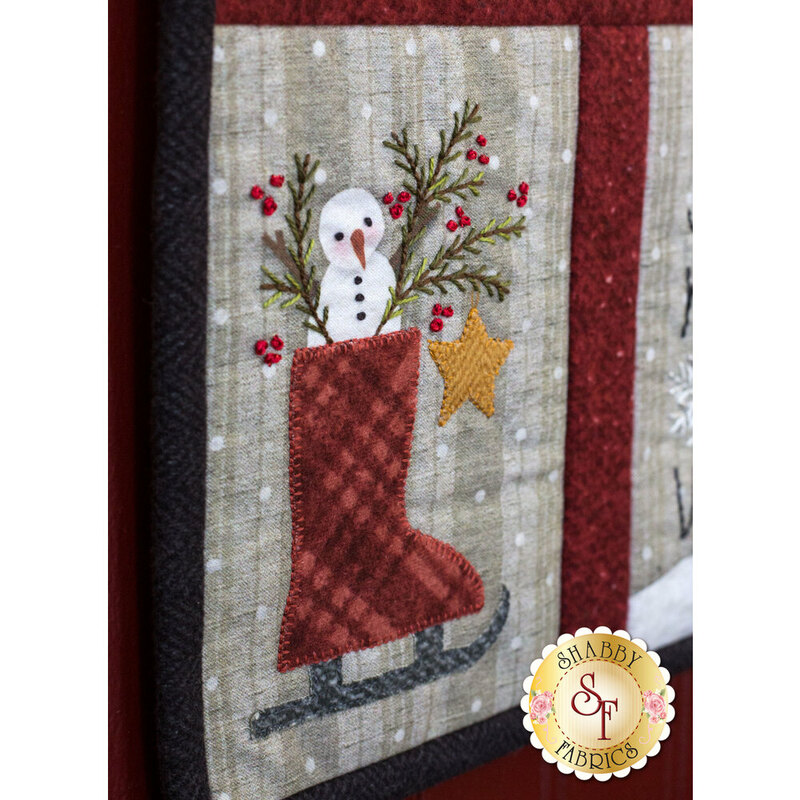 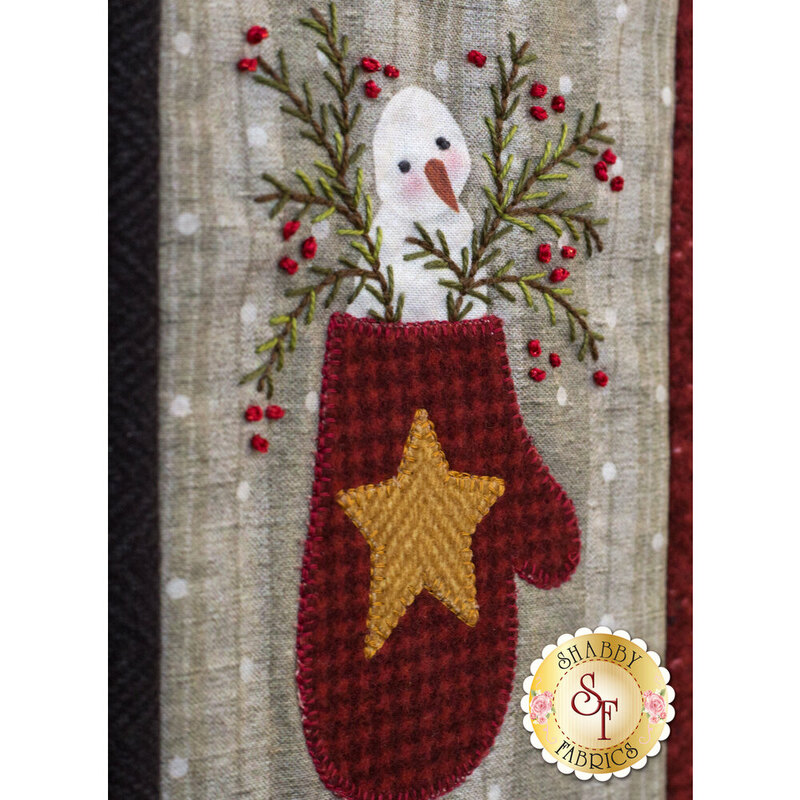 The Snow Days Wall Hanging from Bonnie Sullivan features pre-printed background fabric that adds dimension and character that you can't achieve with regular fabric! 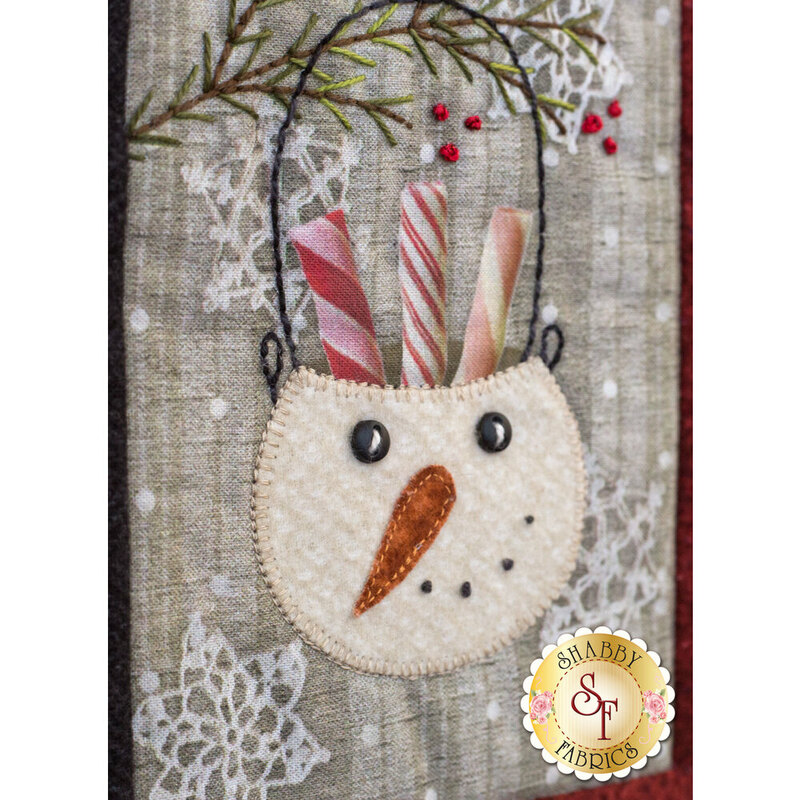 Delicate hand embroidery and pre-fused laser-cut applique meet to create a darling project that is quick and easy to complete. 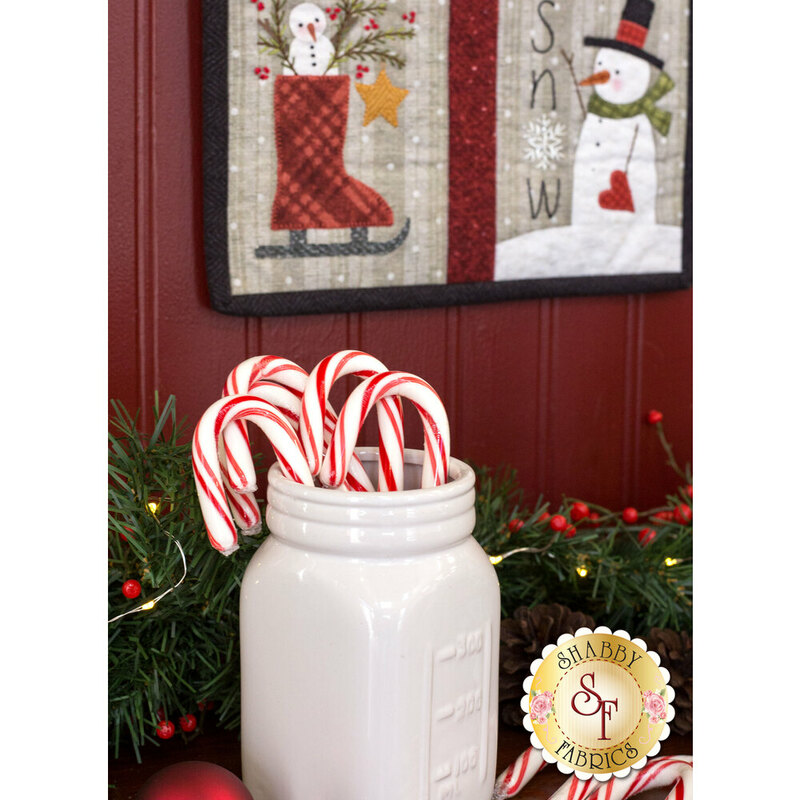 Display in your home, or give as a present! 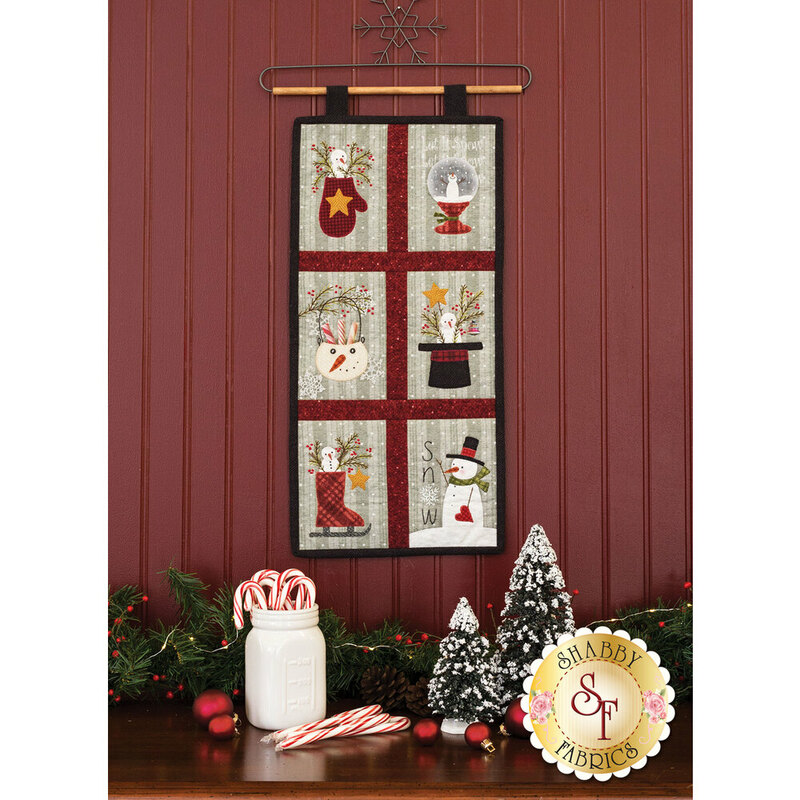 Wall hanging finishes to approximately 10" x 21¼". 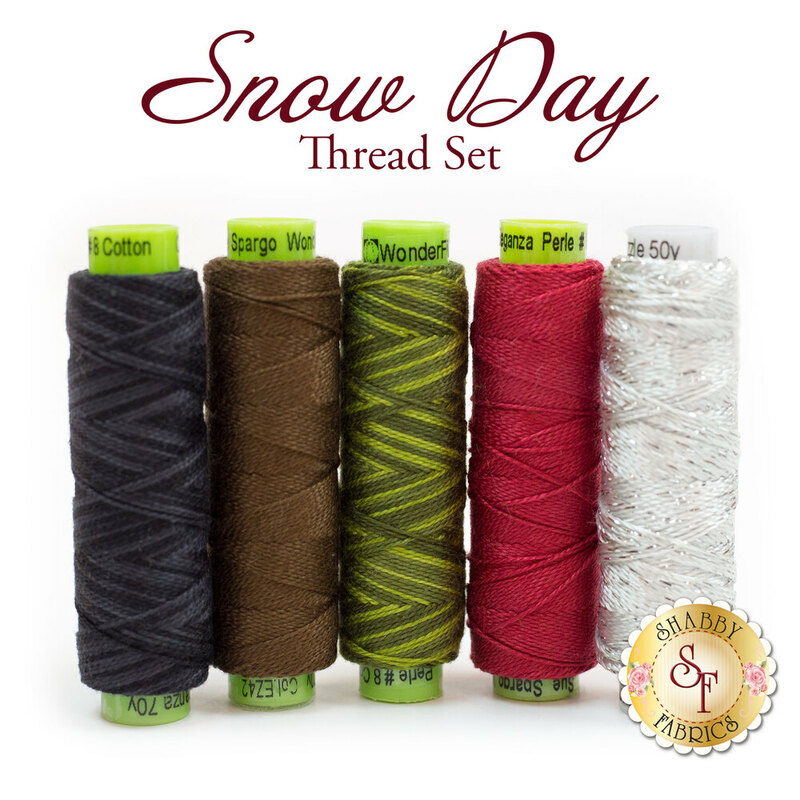 Pre-printed background fabrics, sashing, binding, and backing!